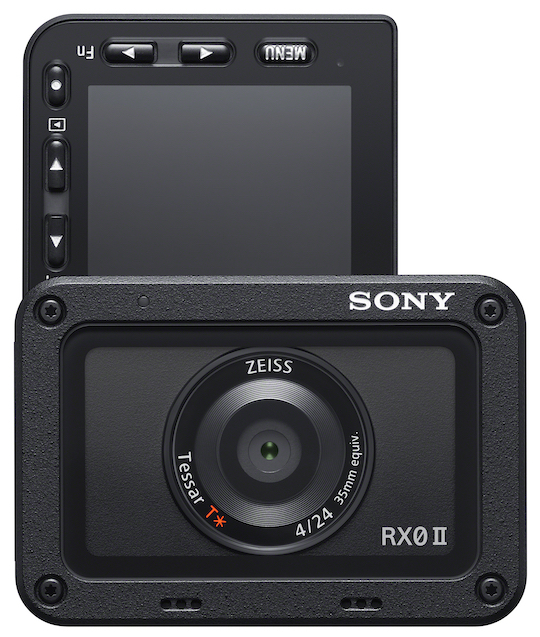 Back in 2017, Sony released the first generation of the Sony RX0. It did not boom as the company probably expected due to the strong competitions it faced – GoPro cameras. But what Sony did was impressive – with all the features it put in such a compact body. If the word got around quicker, the RX0 definitely could have taken control over the action camera market. It has a 1-inch 15.3-megapixel image sensor, a 24mm f/4 fixed lens, and the BIONZ X image processor. 4K video was also available but you could only record it through HDMI to an external recorder. Even though the camera didn’t shine as they’d hoped, Sony gave it another go with the second generation – the RX0 II. This time around, Sony doesn’t want the RX0 II to just be an action camera but something its consumers can use for vlogging and travel photography. The RX0 II has the same aesthetic as the first model, as both are small and have the same build. 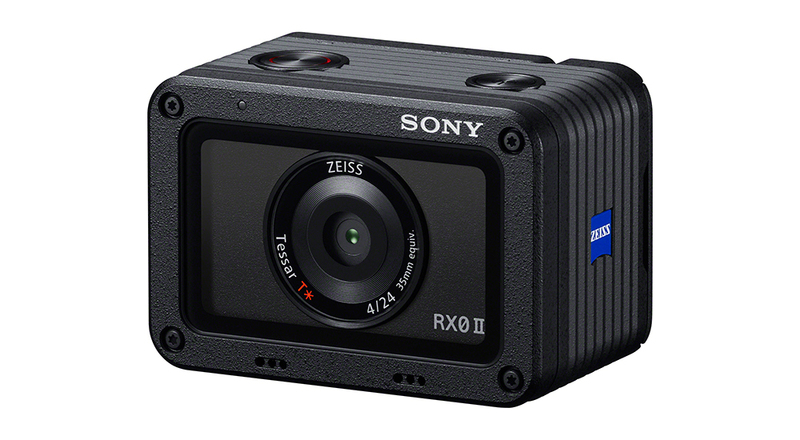 According to Sony, the RX0 II is said the be the smallest and lightest camera on the market. Though, one of the main physical difference is thickness. This is due to the fact that there is a small articulating screen that helps frame images and videos. Another difference is the tilting LCD screen which is an interesting feature for a camera so small. It can be tilted at 180-degrees for selfies or vlogging. It can also tilt 90-degree downward if you need to shoot overhead. Also, it is waterproof up to 10m deep, shockproof, dustproof, and crushproof where it can handle about 400 lbs of force. Other than that, the camera has the same lens, battery, and ports as the RX0. Sony kept its incredible Eye Autofocus which allows the RX0 II to capture people quickly and easily. This time around, it received an upgrade as the speed, accuracy, and Eye AF feature is more precise and faster. The user can even select which eye he or she wants to focus on but this must be done prior to shooting. The setting can be set up in the menu system or through a customizable button. There is a Movie Edit Add-on app that allows you to increase the stabilization algorithms. You can also control access features like Intelligent framing while using a smartphone or tablet. When the RX0 was released, Sony allowed wireless camera control to link to multiple units. A similar feature was put in this model where the wireless control is able to link up to five unit through the Imaging Edge Mobile app. With this model, you can shoot 4K videos at 30 frames per second without an external necessity which is extremely convenient this time around. This is possible with the help of the BIONZ X engine and 1-inch Exmor RS image sensor. Additionally, the RX0 II has an electronic stabilization. You also have the option to shoot at 1,000 frames per second for slow motion. When it comes to images, the RX0 II shoots with an Anti-Distortion Shutter. This allows the camera to shoot as fast as 1/32,000 sec at 16 frames per second. Sony also added an in-body stabilization which eliminates motion blur. If you intend to shoot more at night, the ISO range is 80-12800 so shooting in dim environments should not be much of an issue. Even though Sony is known for the Alpha series, they are persistent with trying to make a presence in the action camera market. Although the first model didn’t really bring as much attention as it should have, the company continues to give consumers top-quality gear. The Sony RX0 II has many great qualities that make it an intense competitor to other action cameras. If you are looking to have something more than just an action camera, then the RX0 II can be the ideal alternative. Sony makes it known that it is meant for more than just action so this camera might be the one for you.